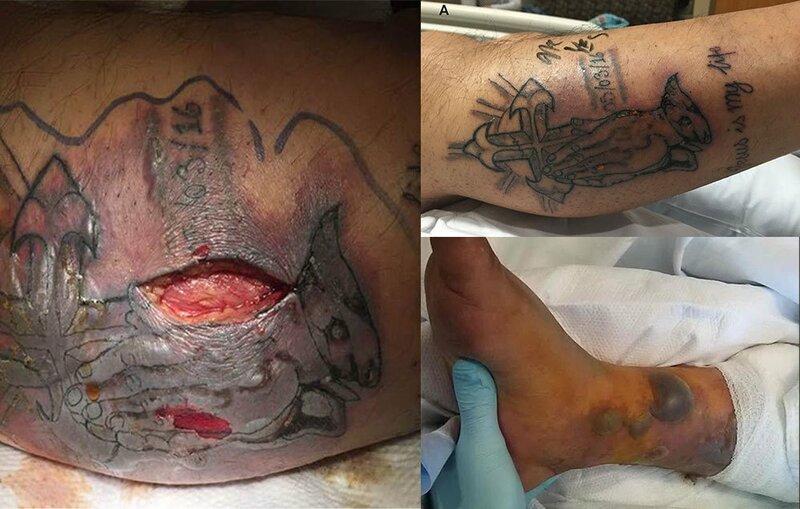 A 31-year-old Texas man died after he ignored warnings not to swim with a brand-new tattoo and contracted a flesh-eating bacteria infection in the Gulf of Mexico. The unidentified man, whose case was detailed in the British Medical Journal, had gotten a tattoo on his right calf five days prior to swimming. Tattoo artists typically warn customers to avoid exposing fresh ink in the days after they are tattooed — and to definitely avoid swimming as it can lead to bacterial infection. Five days after getting the tattoo, the man who died went for a swim in the Gulf of Mexico, the BMJ report shows. Three days later, he was admitted to Parkland Memorial Hospital in Dallas complaining of pain in his legs and feet, chills, a fever and redness around his tattoo. A doctor at the facility described him as “among the sicker of the patients” he’d ever seen.